Both designs have large print on back side and small print on left chest. 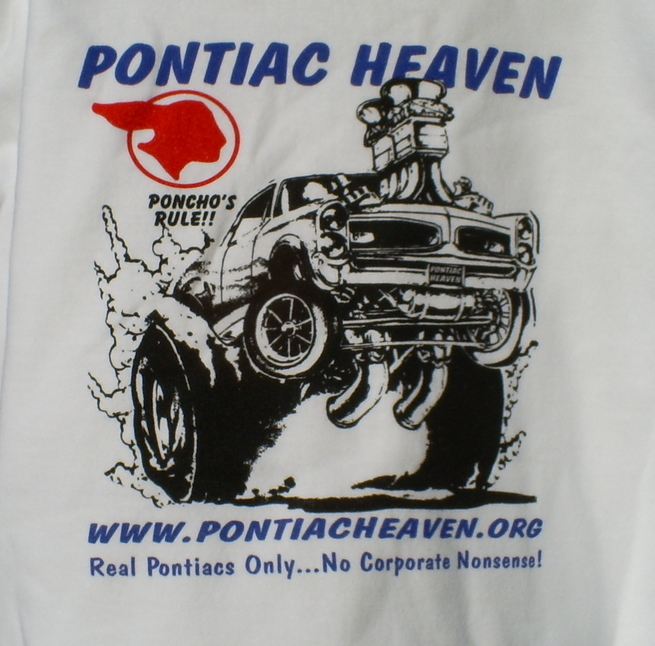 Pontiac Heaven shirts now available in 2 designs! These designs are all on 100% cottom prewashed Ts. Some sweat shirts and ladies tops avail as well. 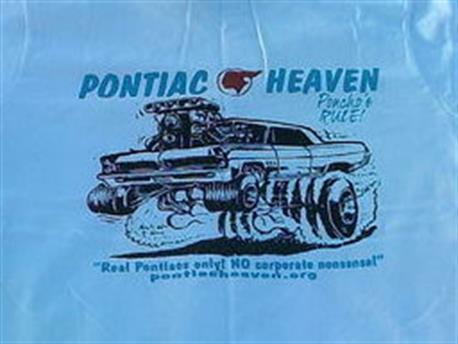 Show your Pontiac pride! No Corporate nonsense! Full size & GTO Ts are $16 for m-xl sizes. 2x-4x are $18 . plus $5 for S&H per shirt. Be sure to specify size and color , contact phone number and mailing address.